First of all, Emma's casual street style is something that I love about her. I would describe it as comfortable fashion, along with a bit of a Parisian nature to it (as she did live in Paris for a while). She obviously wears things that she loves and feels comfortable in! The photo on the left is her at an airport, hence the tracksuit bottoms, but it just shows that she is in control of her fashion and dresses up when she wants to! The second thing I love about Emma's style is what she wears to Red Carpet Events. Above are my favourite dresses she's worn recently. I absolutely adore Emma's Chanel dress in the last photo, it's such a statement and puts the focus on her make up and face as well as her dress. I absolutely adore her street style and her Red Carpet Style and can't wait to see The Bling Ring to lust over all the celebrity style there! 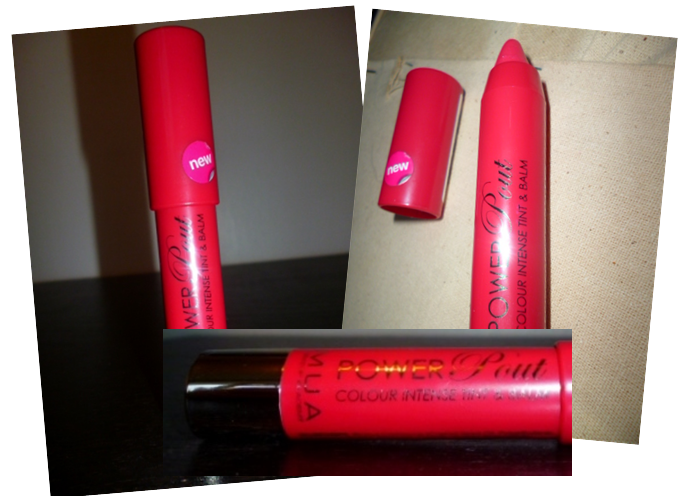 So today I wanted to share with you my review of a product I picked up from Superdrug on Tuesday when I was in Oxford! 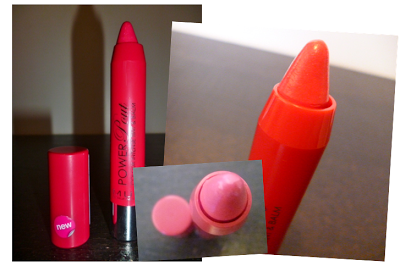 I wanted to get some new lip products and I really wanted to try out the Colour Boost by Bourjois. 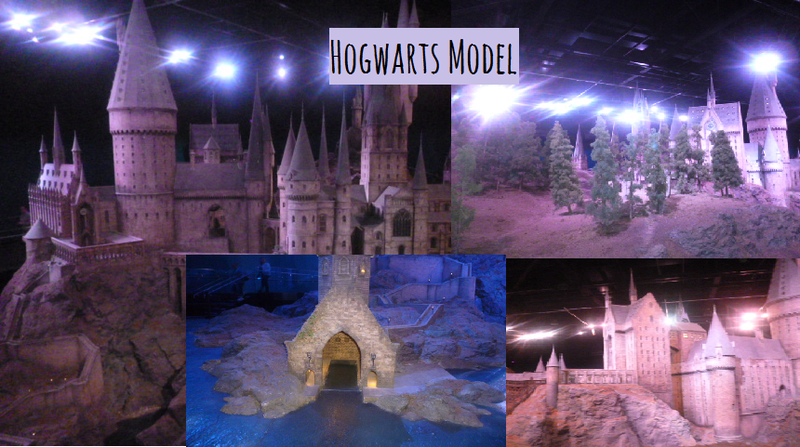 It looked so amazing, but it was quite expensive and I didn't have the money to try it out! 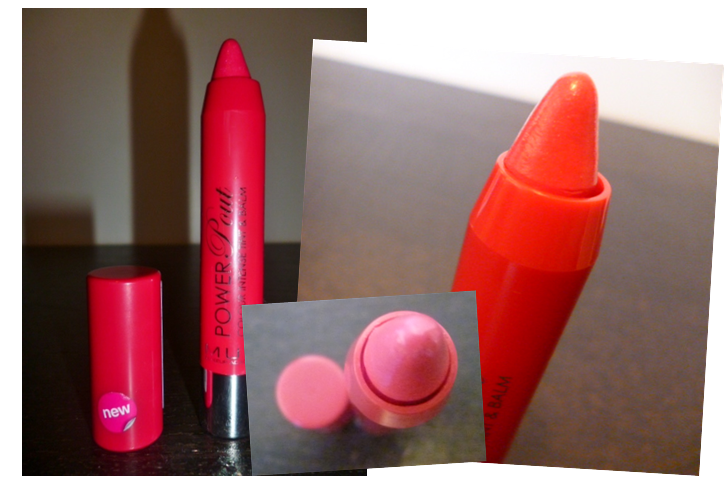 I looked around the store for similar products and found the MUA Power Pout Colour Intense Tint + Balm. Normally, I am someone who pays a little bit more for a better quality product but I thought that seeing as I hadn't got the money to spend, I'd try out the cheaper option. The thing I always look at first is the packaging; if it doesn't look like a nice product I tend not go for it. I know that you're not supposed to judge a book by it's cover but presentation is everything! However, I picked this up because of it's lovely colour (which, by the way, is dependent on the shade you buy it in). I also love the metallic bottom as it just kind of tops off the packaging! It comes in the shape of a really thick crayon. I love this style and I find that its more creamy than any other balm I've tried before. As it is also a lip stain in addition to a balm I was really interested to see how the two would mix. After using it for a full day I fell in luurve with it. Although the product isn't incredibly pigmented, after a few applications the colour is so strong. I also spend most of this week with out using any Vaseline as it really smooth and protects your lips from the wind. Finally, this is a swatch of the colour. I brought the colour 'Broken Hearted' (I'm not sure why it's called broken hearted I don't think it portrays broken heartedness by being really pink haha!) I picked it just because it was one of the prettiest colours that was still really powerful. Overall I lovelovelove this lip tint & stain and at £3 I love it even more! I will definitely buy it in more shades soon and would recommend it to all of you! I hope you enjoyed this review and let me know in the comments if you've tried this or the Bourjois and what you thought about it! I was so surprised it was already Saturday again! 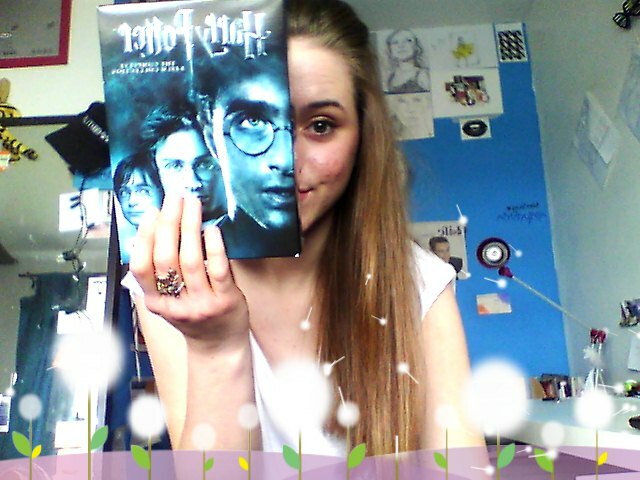 Having finished school early has messed with my concept of time, uh oh! Over the past week I have been carefully considering who will be my next Saturday Style Crush, I have so many style crushes it was so hard to choose which one to pick for the 2nd Style Crush! 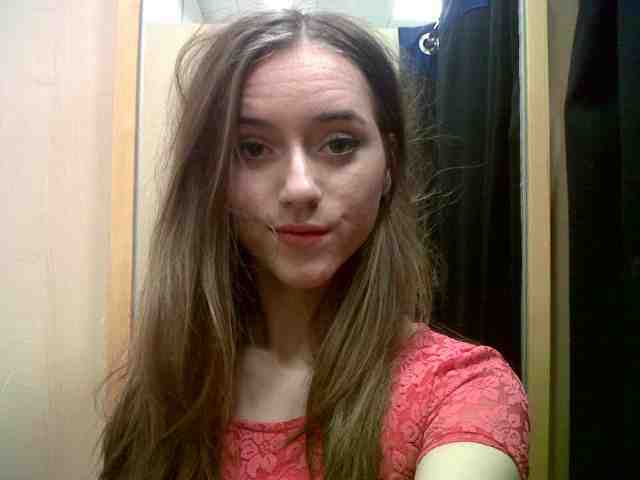 I decided to go for Lana Del Rey! I chose Lana because of her stunning, enigmatic and interesting stage look and her lovely, punky yet pretty casual look. A lot of the time it looks like she has just stepped out of a 60s movie; pouring out glamour and radiance thought her sultry clothes, hair and makeup. One other thing I love about Lana's style is her tour style. She didn't have set dresses for songs she wore a different dress for every show. I think this was lovely because it obviously reflected how she was feeling on the night and gave the audience and fans a unique experience! I hope you liked this Saturday Style Crush! Hey guys! So this my first OOTD post! 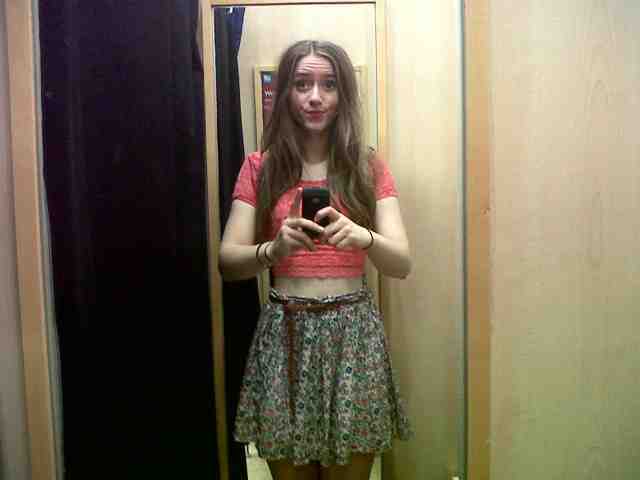 I would have published this on Wednesday (when I wore it) but I was SO tired after a really successful day shopping in Oxford with my sister. I basically got home and just fell on the sofa ;) I didn't post this yesterday either as I had my LAST GCSE EXAM! (Excuses...) Anyway I have posted it today so I hope you like it! 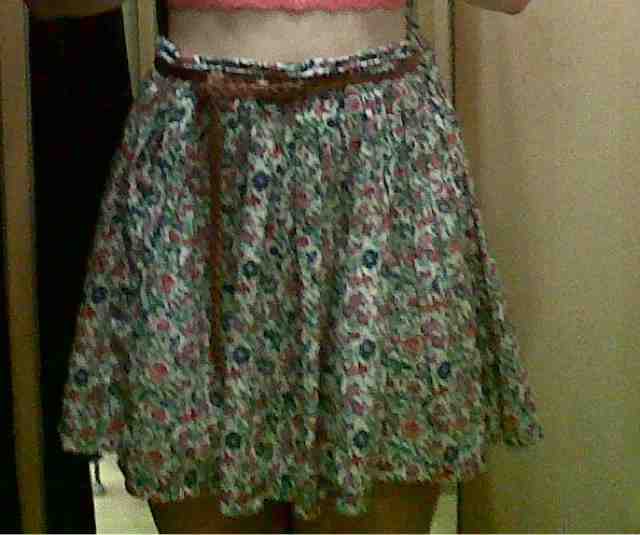 Floral Skirt - Homemade by my Nana! 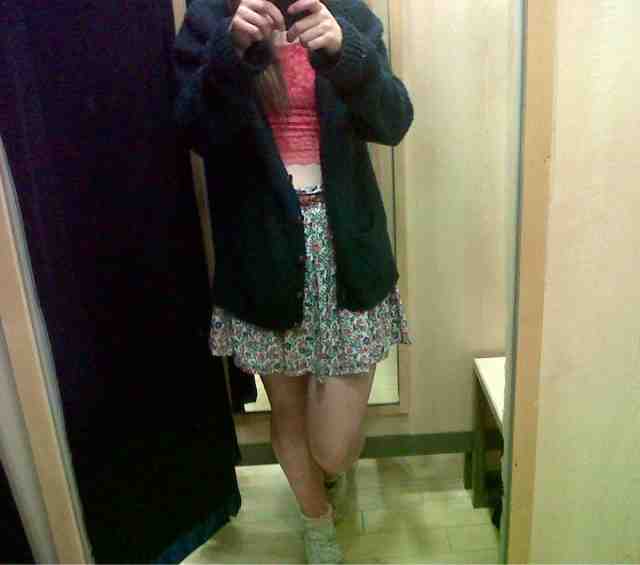 I know that the Crop Top and the socks are definitely on sale right now (as I saw them on Wednesday). All the other items are probably not but there is likely to be some similar in the shops. When I get home I will search and add links to similar pieces to the ones I'm wearing now! Beauty Lovers, this post is for you! I am one of those people who has never really perfected the art of eye shadow, or ever really tried... I have become quite the expert, if I do say so myself, of Eye liner. 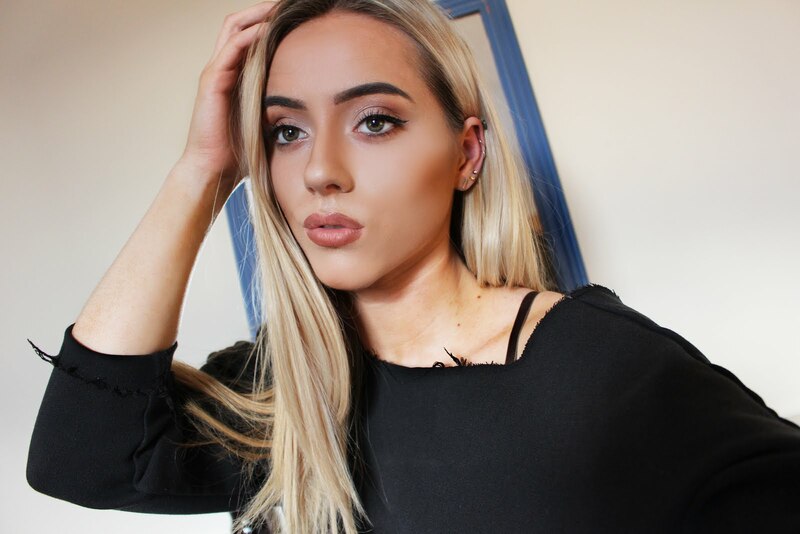 So today I'm going to run you through my 4 favourite eye liner looks that I use on a daily basis. These are all of the products/tools I used to create these looks. I think this look is the easiest to do and very quick. It looks good it the day time and great for days when you don't want to use much make up. For this I used AVON Super Shock Gel Eyeliner Pencil. To start off I sharpened the pencil until it reached a good point at the top. Then I drew a tiny line at the end of my top eyelid so that I could mark the height that I wanted easily. I like this look because its quite easy to do and a bit of a softer look as opposed to the kind of edgy ones below! For this look I used my L'OREAL PARIS Super Liner Perfect Slim liquid eye liner pen. To start off this look I started at the end of my top eyelid and drew a curve up and then back down again to the middle of my top eyelid. They key to this is just to make sure it looks curvy instead of straight and structured! If it looks pointy at the end of your top lid keep running the pen over it in a curve to make it look softer. I think this is my personal favourite out of all 4 looks and it's also one I use most for school days as it stands out but it's not too crazy haha! I used Maybelline Eye Studio Gel Liner Black and a paint brush for this look. Yes a paintbrush..it's only been used on eyes and it's amazing to use for them. I have been keeping my eyes on some good eyeliner brushes for when I come back though! I used the tip of the brush to mark out the height that I wanted the point of the liner to be. I then connected the line to the middle of my top eye lid. by doing this, I create a kind of stencil. 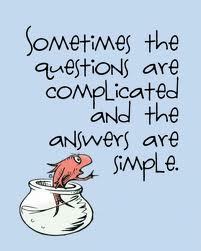 All you have to do after that is just fill in the gaps! These are the end results of this Simple but Sharp look! I think this is an easy look as long as you get the height right to start off with! I find this one the hardest look to get right as if the flicks are at different angle OCD Me comes out and I have to restart! I used L'OREAL PARIS Super Liner Ultra Precision for this as it is so thin. So the first step I do is just to draw on the very end of the flick to make sure I can rub it out easily before adding anything else on. The next step is like many of the others and basically I just connect it up to the middle. This is the final result of the Cat Eye Flicks! Obviously today is Saturday so I'm going to share my Saturday Style Crush. Since I can remember I have loved the Olsen twins, Mary-Kate and Ashley. I did a bit of research on when their show 'Two Of A Kind' was aired and Wikipedia says it aired in 1998, when I was 2, so I obviously never watched that on TV... So I must have watched it on YouTube when I was older! I did however read their Two Of A Kind books, and watched 'So Little Time' so I was a big fan of the twins. They kind of fell off my radar until a couple of years ago when I heard that they went into fashion. 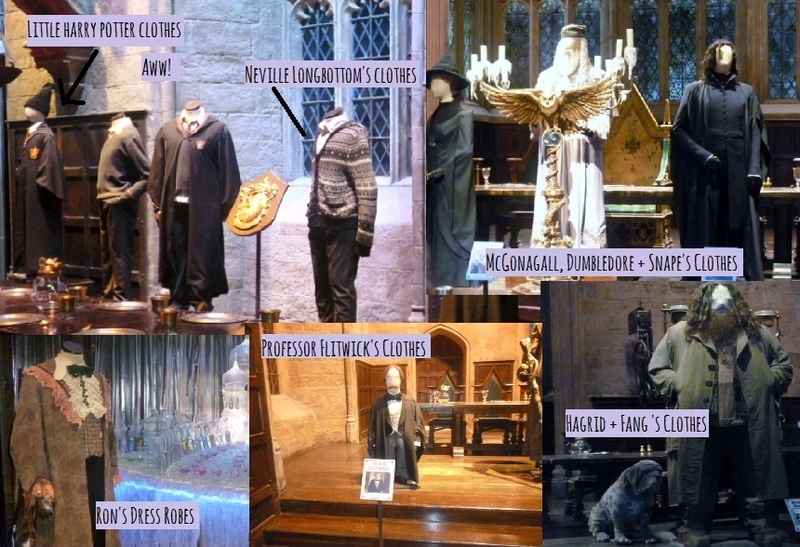 This was SO exciting for me because I really wanted to see what sort of things they were doing! They had a couple of clothing lines in Walmart, their own couture line called 'The Row' and have done some other things including writing their own book, 'Influences'! These two are now my first 'Saturday Style Crush' because of their casual and Red Carpet style. I think their style can be described as many things; Chic, Pretty, Grungy, Relaxed. I think the style they're most renowned for is their Grungy, Boho Chic sort of look which I am a big fan of! It was also their Birthday on Thursday so Happy Birthday! 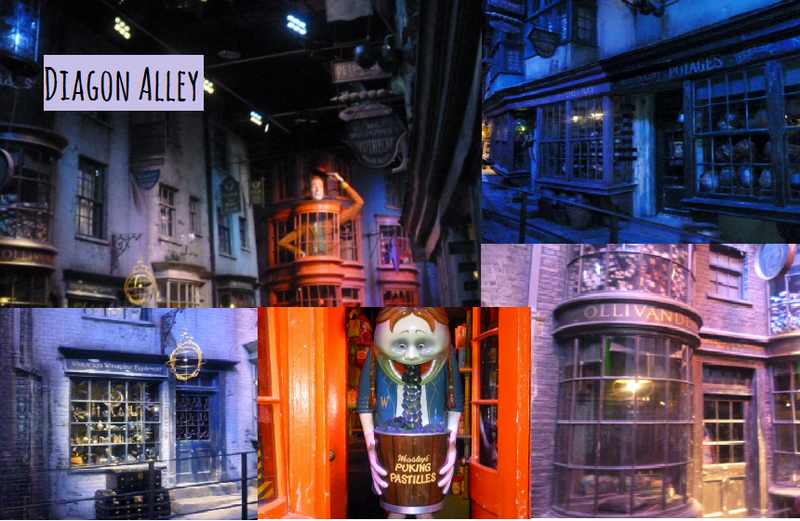 As promised, here is my post about when I went to the Harry Potter Studio Tours! It was a super exciting experience because, as most of you guys know, I lovelovelove everything Harry Potter related! 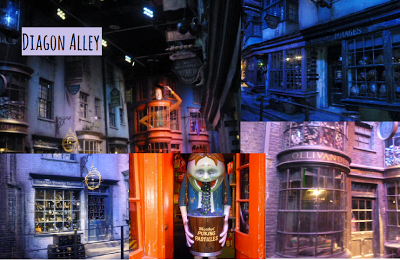 So of course I had to go to the Harry Potter Studio Tours! I thought I'd share a few of my photos with you but I strongly advise you to go for yourself if you get the chance! 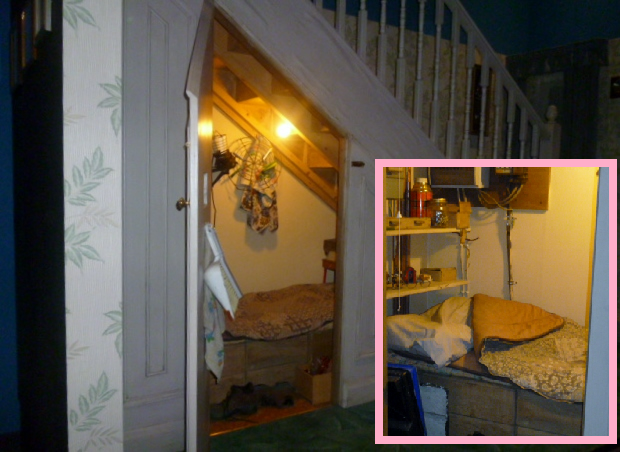 The cupboard under the stairs is one of the first things you see whilst you're in the queue! It was so exciting to see the real sets. 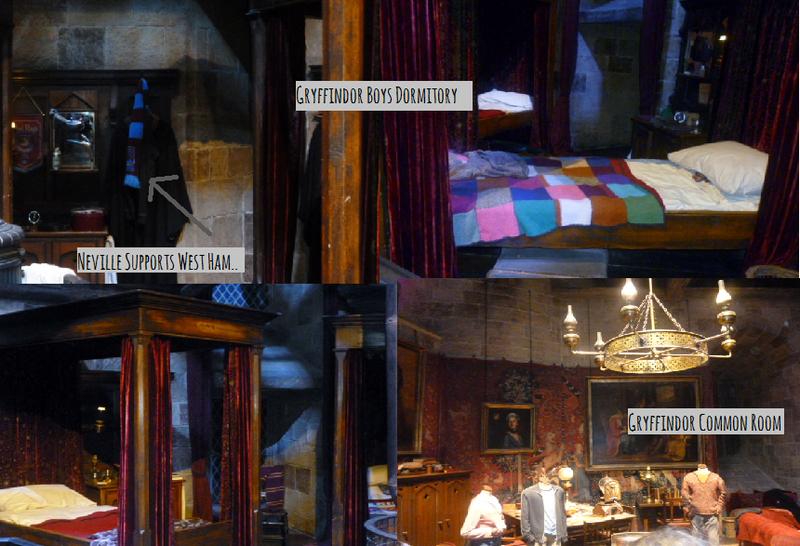 Coming into the Great Hall is so...magical haha! It was exactly like it was in the films! 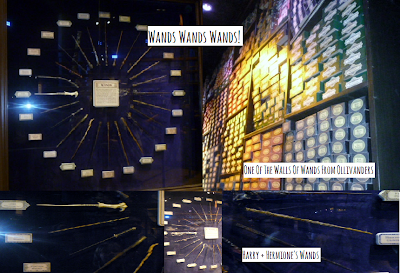 The wands were so amazing on display! 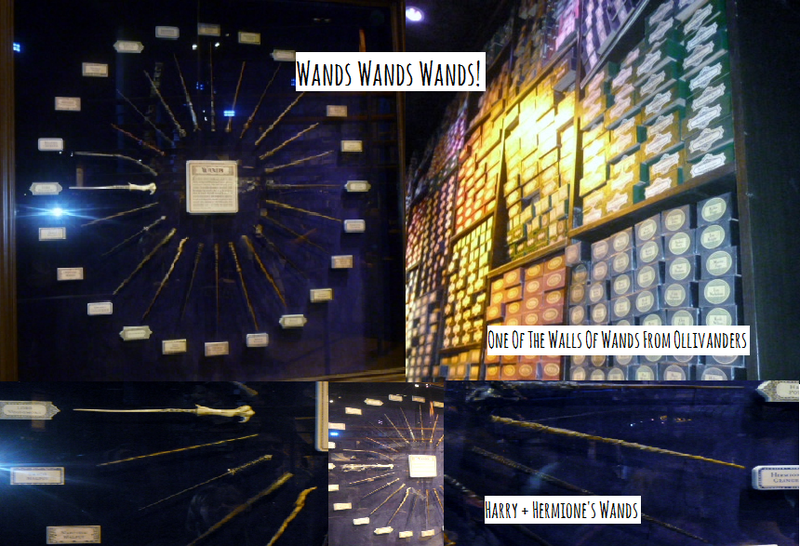 I especially liked Draco Malfoy and Hermione's wands. 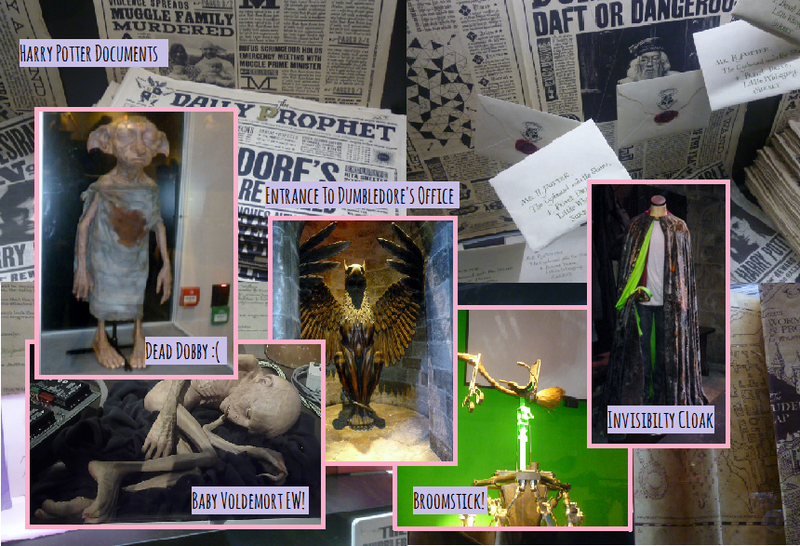 I loved seeing all the amazing large set props. 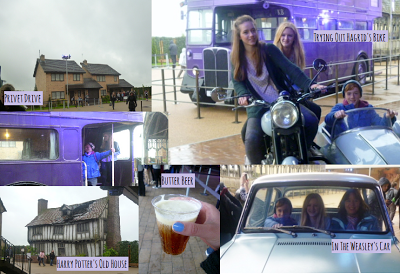 The Night Bus was so cool and it was good to finally try Butter Beer! ....next Stop: Harry Potter World Florida....one day!